If you could travel back in time 100 years and take a snapshot of the quintessential American town, chances are it would look, and feel, a lot like Benson, North Carolina does today. A town whose architecture was never bulldozed away in the name of prefabricated progress and main street still buzzes with commercial activity the way it did a century ago. A town where neighbors know each other by name, people walk the streets without fear, and — as evidenced by our 30+ churches — family values are still alive and well. 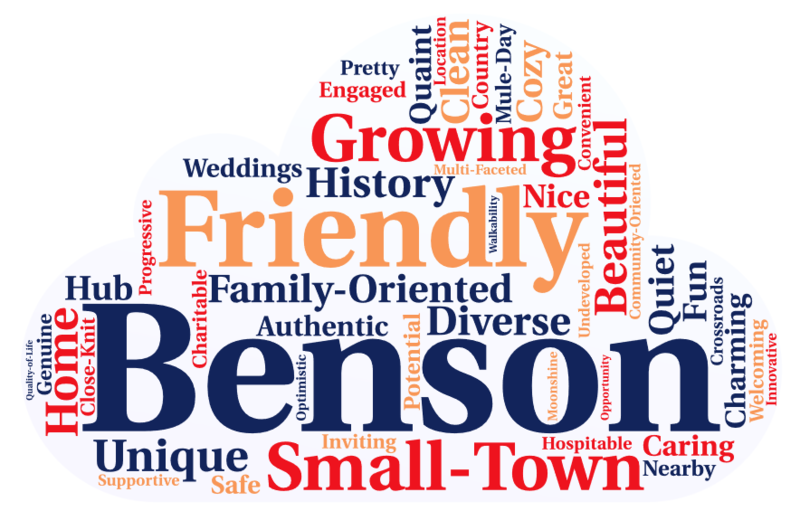 So firmly rooted in the past, Benson at the same time looks to the future with great anticipation. Situated at the intersection of two of the most important Interstate routes in the eastern United States, Benson is ideally positioned to prosper from the growth and economic diversification that is sweeping across eastern North Carolina. Benson . . . life at its best, and getting even better.